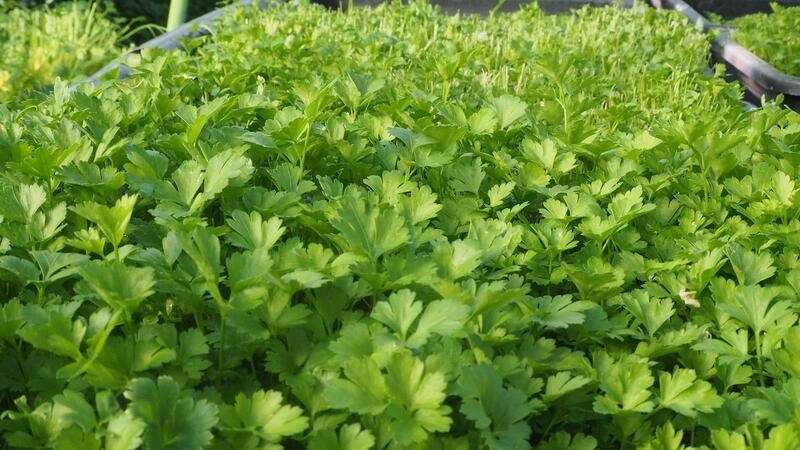 On Cromwell’s western outskirts Basil, Parsley & Partners grows the best handpicked herbs to supply distributors, restaurants, cafes and supermarkets across Central Otago. Over two decades ago Queenstown chefs told Bob Tovey it was hard to get fresh herbs, sparking his career switch from hospitality to horticulture. In the 1990s, Bob Tovey turned an inspirational idea to produce and sell culinary herbs into reality. He bought land at Ripponvale and studied horticulture at Otago Polytechnic—Cromwell Campus. Producing and selling herbs meant he could blend his love of working the land with a flexible, family-friendly lifestyle, and enjoy Central Otago’s magnificent landscapes and wide blue skies every day. “I had a very straightforward vision for starting this business. I had a little baby at the time, and I wanted to spend time with my kids growing up. And I love growing things, working with nature, plants and the soil." For Bob, it’s not about doing what everyone does because there’s money in it. It’s about the freedom to choose a unique path and to see the world differently. Inspiring others and exploring new horizons is second nature to Bob, whether it’s through sharing innovative business ideas or when travelling overseas. His appreciation of Central Otago’s grand, rugged beauty and seasonal wonders is never far from conversation. “I just love it here. It’s the blue, blue sky. This time of year, every time I get in my car and drive down the road I just want to stop and get my camera out." The success of Basil, Parsley & Partners relies not only on supplying high-quality produce but also on strong, enduring relationships. Whether it’s customers or staff, working well with others is at the heart of Bob’s business. He uses the word `team’ frequently and appreciates the contributions his staff make.